Sometimes a colourful, patterned dress calls for a simple scarf! 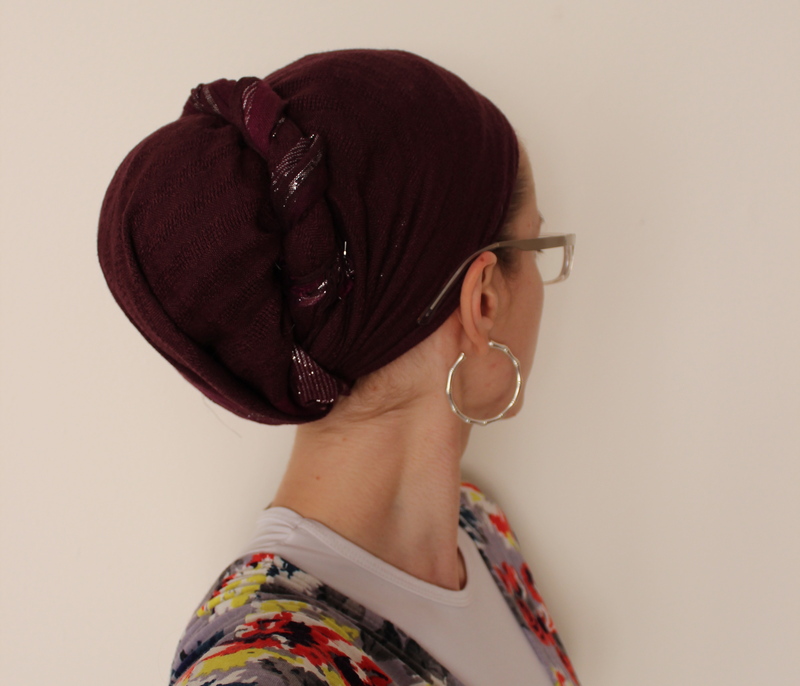 Here is a square scarf worn in a simple bun/twist style. Check out the tutorial here! ← Stripes with a Twist! All of your hair coverings are so beautiful! Do you think that you could show us your clothes also? That would be very helpful to those of us who are just beginning to learn to be more observant. Yes, I’d also appreciate some mix-and-match tutorial for headwraps and clothing. 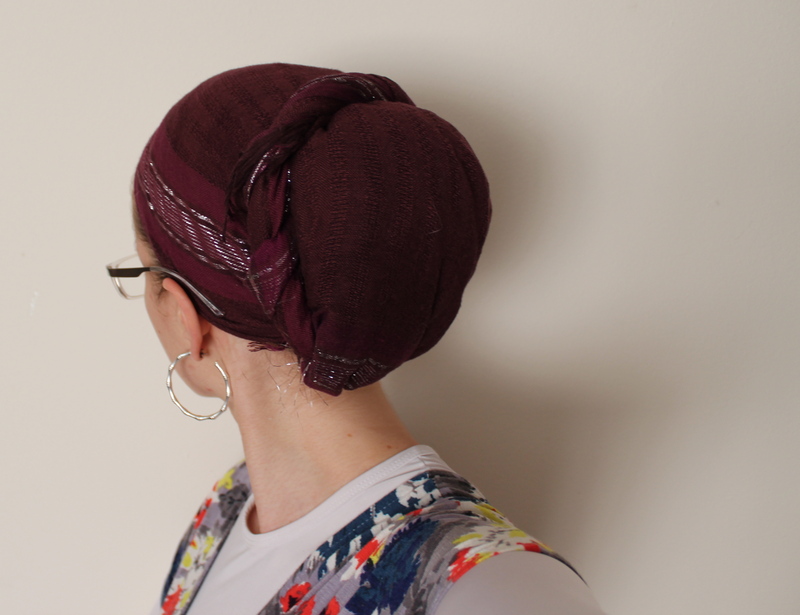 I am also still at the beginning of my headcovering journey and appreciate all help possible. 🙂 Keep up your great work and have a blessed, wonderful shabbat!